Most of us know that heart disease and cancer are our number one and two killers. Yet there’s another potentially deadly condition that may not be as well-known but it affects one out of three of us, and can sneak up on you without any symptoms. And the alarming thing is, it’s on the rise—especially in kids! This condition is known as nonalcoholic fatty liver disease (NAFLD). Nonalcoholic fatty liver disease (NAFLD) is one of the most common underlying causes of chronic liver disease. 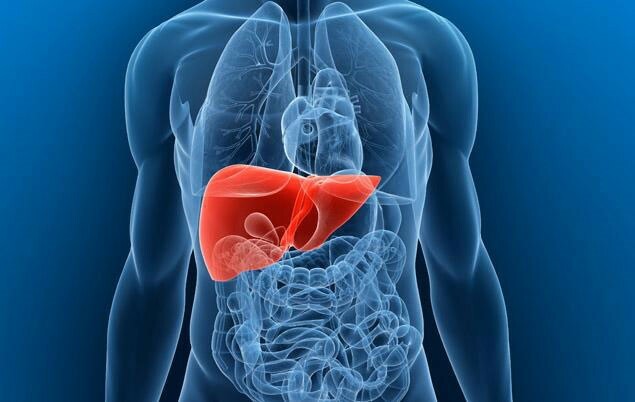 It includes a group of conditions that are characterized by varying levels of fat deposits in your liver cells. NAFLD ranges from steatosis (simple fatty liver), to nonalcoholic steatohepatitis (NASH) which is fatty changes plus inflammation, to advanced fibrosis (excessive accumulation of extracellular proteins) and cirrhosis. Although simple fatty liver is considered benign, once chronic inflammation develops (NASH), then you can progress to fibrosis and eventually end-stage liver disease (needing a transplant). NAFLD has no signs or symptoms, and it’s often discovered unexpectedly through elevated liver enzymes on a blood test. It resembles alcoholic liver disease, the main difference being NAFLD is caused by factors other than excessive alcohol consumption. In the past two decades, the prevalence of NAFLD has more than doubled in adolescents, and climbed at a similar rate in adults. 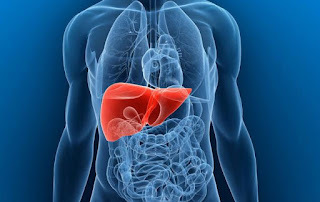 Studies have shown that it occurs in about one out of ten children and at least one out of five adults in the United States, far surpassing the rate of any other chronic liver condition. NAFLD It is associated with metabolic syndrome—many experts are even considering it as a new metabolic syndrome “component” along with obesity, high blood pressure, elevated blood sugar and high cholesterol. And Heaven knows the number of people with metabolic syndrome or any of its “components” is skyrocketing. When you consider that two out of three of us are overweight or obese, one out of three has high blood pressure, and three out of four of us have some degree of insulin resistance, it’s no surprise that the new member of metabolic syndrome—NAFLD—is also on the rise. It’s also easy to see why kids are affected—the main reason for that is their excessive consumption of high fructose corn syrup (primarily in sodas and junk food). High fructose corn syrup (HFCS) is not metabolized like regular sugar by your body. Your liver has to metabolize only 20 percent of the glucose you take in, but 100 percent of the fructose—this puts a tremendous strain on the liver which can set the stage for an unhealthy environment. In addition, while glucose can serve as an energy source, HFCS is instead converted into fatty acids, excess cholesterol and triglycerides, which in turn get stored as fat. Artificially processed fructose causes three times more fat storage than glucose. So it’s no wonder our kids are getting fatty livers, considering many begin drinking soda as toddlers, and teenagers may drink five to 10 sodas a day. The good news here is there is plenty you can do to slash your risk of NAFLD! If you’re concerned about NAFLD, ask your doctor to test your liver enzymes. Nothing makes you shed excess pounds, burn fat, eliminate dangerous toxins and promote better health in all of your organs better than regular exercise. If you’re a couch potato or make every excuse under the sun to not exercise, kindly stop that now. Instead get your doctor’s OK and get moving. Your life just may depend on it. What's best for your body (and can help you live disease-free well into your golden years) is having a diet of REAL foods and avoiding processed and refined foods. And the Great Taste No Pain health system can show you exactly what to do. Great Taste No Pain teaches you the dangers of all processed foods and shows you how easy it is to prepare and enjoy delicious REAL foods. Once you get away from trash like soda and junk food, you’ll likely soon lose your taste for them and end up preferring REAL food. Evidence is growing that links probiotic use with a decrease in fat accumulation in the liver. A new study published in September of 2014 in Food & Function revealed that the mechanism by which probiotics help reduce liver fat is twofold--they reduce the formation of new lipids (fats) and also increase the destruction of lipids that have already accumulated. Especially helpful in this area was the probiotic strain Lactobacillus plantarum--which is one of the 13 super strains in Super Shield multi-strain probiotic formula! Super Shield contains a variety of 13 robust probiotic strains that will comfortably line your gut wall and can help make it less porous, help protect you from toxins, help keep your digestion in tip-top shape and fight a fatty liver too! Milk thistle (silymarin) has been used since the 15th century for liver health. It helps detoxify the liver, stimulates the flow of bile and helps tone the liver, as well as its “partners” the gallbladder and spleen. Recommended dosage is 350-525 mg. of milk thistle per day with meals. Do all you can to fight back against NAFLD and help to create a healthier body environment for you AND your children. According to the Bureau of Labor Statistics, office jobs make up the single largest occupational group in the United States. But what many people don’t realize is that office jobs can also be hazardous to your health! Studies have linked sedentary jobs to increased rates of obesity, heart disease, Type 2 diabetes and cancer, among other things. But the good news is, you can help make your workplace a more health-preserving—not health harming—environment! One study has linked sitting for eight or more hours a day to obesity, high cholesterol, elevated blood pressure, cardiovascular disease, Type 2 diabetes and increased cancer risk. But it can help to spend short periods of time standing up. For example, you can stand up while on the phone as long as you don’t need to use your computer or take notes. There are reasonably-priced “stand-up desks” which can raise your computer up so you can work standing up for a while, then it can be easily lowered when you want to sit back down. The office can be a place where you are tempted by the vending machines or coffee bar, especially when you’ve been working long hours. Prevent the temptation to indulge in soda, coffee, chips or other unhealthy foods by having healthy options around. See if your office mates want to pitch in and have a supply of good-for-you snacks in the kitchen or break room. In my office break room, we always have fresh fruit, nuts, a vegetable tray and filtered water. Many people work through an illness because they don’t want to lose productivity, but if you have a virus, are running a fever, vomiting or have diarrhea, please stay home, even if it’s just for one day. First of all, if you’re sick, there is no way you will be as productive as you normally are. Secondly, by dragging yourself to work you may be worsening your illness which will also prolong your decreased productivity. Plus you run the risk of getting your co-workers sick and affecting their productivity too! The rest will do you good, and will likely help you recover faster. 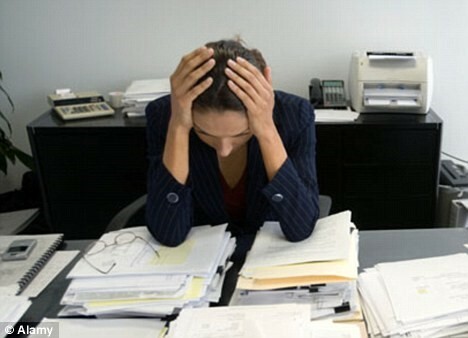 According to a recent survey, approximately 80 percent of Americans are under stress at their jobs. So clearly, it's important to eliminate as much job stress as you can. Don’t work through lunch. Take a lunch break even if it’s just for 15 minutes. Take a brief walk at lunch time. Delegate when you can. If a co-worker offers their help, take it. Take ten deep breaths at your desk every hour. If the stress becomes overwhelming, seek any available services through an employee assistance program, or see a therapist. It’s also essential to give your body the help it needs to counteract the physical effects of stress. A healthy diet and efficient digestion are essential for absorbing the nutrients you need, and when you’re under stress your body uses up nutrients faster. In the Great Taste No Pain system, I explain ALL the health dangers of the typical modern diet, show you how to structure delicious nutritious meals that are much easier for your system to break down and even give you a collection of scrumptious recipes to try. Stress can throw off your intestinal flora balance, and since this is where 70 percent of your immune system resides, it’s crucial to make sure you have a healthy population of friendly microbes. Super Shield multi-strain probiotic formula can help with this important task. Super Shield gives provides a helpful dose of 13 strains of beneficial bacteria that will encourage a healthier flora balance and support sound immune function. Like I mentioned above, stress can lead to overtaxing of your adrenal glands and eventually hormonal imbalances. So it’s vital to support the health of your adrenal glands to help minimize the harm that stress can cause. Dr. Salerno’s Adrenal Factor is the ticket here. Adrenal Factor contains a unique, effective blend of adrenal-supportive vitamins (including the antioxidant vitamins A, C and E, as well as various B vitamins) plus herbal extracts that encourage normal adrenal function and help your body with the fight against stress. Do what you can to make your workplace and your job a healthier environment. You will reap the benefits and hopefully inspire your co-workers to do the same! A new blood test that can help diagnose irritable bowel syndrome (IBS) has been developed by Dr. Mark Pimentel, a gastroenterologist at Cedars-Sinai in Los Angeles, CA. The test is designed to identify the presence of anti-Cdtb and anti-vinculin antibodies, which have been shown to be elevated in many people with IBS. While this is good news in terms of diagnosing IBS—because it was previously a “last resort” diagnosis when everything else had been ruled out—many people are still in the dark about what triggers IBS and how to get relief. 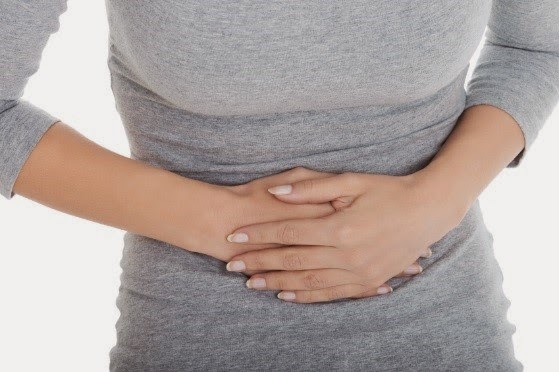 IBS is commonly described as a functional disorder whose cause is not known, but the truth is, there are three primary underlying factors behind IBS, and once you are aware of these factors and do something about them, you can start to feel a whole lot better—fast. If your digestive system cannot break down your foods like it's supposed to on a regular basis, it's just a matter of time before your body begins to give you signs that something isn't right. Many people have food allergies or sensitivities and don’t even know it...all they know is that they’re suffering with very frequent pain, gas, bloating and diarrhea—all of which are IBS symptoms. True food allergies are easier to detect because you usually get symptoms pretty quickly after eating the offending food. But food sensitivities are a bit sneakier. You won’t necessary get symptoms right away—it might take you up to 72 hours to feel the effects, and at that point, it’s difficult to make the connection. The different types of bacteria that live in your large vs. small intestines each have different functions. One of those differences is the metabolism of carbohydrates. Most carbs are absorbed in your small intestine, and there's typically little or no gas produced. The only exception is dietary fiber -- that passes on to the large intestine. The bacteria in your large intestine break down fiber and as they're doing that, some gas is naturally produced. The bacteria usually absorb most of the gas, and any excess is passed as normal (not excessive) flatulence. However, with SIBO some of the bacteria from your large intestine “swim upstream” into the small intestine. 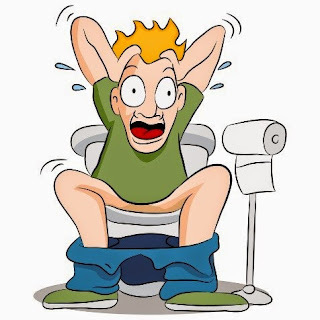 When this happens, fiber that you eat begins to be broken down too soon—in the small intestine instead of the large. Since your small intestine isn't equipped to handle this and it doesn't have the right bacteria to absorb the resulting gas, this can cause bloating, excessive gas and pain (classic IBS symptoms). How to get real IBS relief! Now that you know the common underlying factors behind IBS, you can do something about them and start feeling much better. If you suspect food allergies or sensitivities could be an issue for you, it’s important to see a doctor and have testing done. This is the most obvious one of all, since poor digestion is the #1 most common cause of IBS (and many other digestive conditions for that matter). In order to help promote better digestion, it’s essential to eat real (not processed) foods, and structure your meals so that they’re less taxing on your system. The Great Taste No Pain and Great Taste No Gluten eating systems show you exactly what to do. Both systems show you how to put together meals that your body can more easily break down. When you make the body’s job easier, digestion can be completed much more efficiently. And that can mean less gas, bloating, constipation and diarrhea are in your future. Probiotics have been shown to be extremely helpful in counteracting SIBO. But the key is that it's important to use a formula which contains both bifidobacterium species (for the large intestine) and lactobacillus species (which reside in the small intestine). And Super Shield multi-strain probiotic formula is up to these important challenges. Super Shield can help enhance digestion and fight SIBO-induced symptoms safely and naturally from within by helping to restore and maintain the bacteria balance in both your small and large intestines. Stress can definitely compromise your digestion, which can certainly worsen IBS symptoms. Your mind and GI tract are connected through a series of impulse pathways called the "brain-gut axis" and what affects one affects the other. Stress relievers include regular exercise, taking up a hobby, adopting a pet, counseling, prayer, meditation, aromatherapy, deep breathing, acupuncture, massage therapy and yoga. There are a lot of options to help you. Pick whatever suggestions above are right for you, and get going on having real relief from IBS now! Allow yourself a little “treat” now and then, such as a piece of cake at a birthday party or an ice cream cone on a hot day. You’ll feel much less deprived and far more likely to stick to healthy eating habits over the long haul. Drink at least eight 8 oz. glasses of filtered water each day. Go organic as much as possible. If you’re on a tight budget, at least strive to buy organic versions of those fruits and vegetables where you eat the whole food including the skin—such as apples, potatoes, peppers, berries, peaches, pears, tomatoes, lettuces, celery and grapes. Eat a tossed salad every day. Pick an activity you like or at least will tolerate. You’ll be more likely to stick with exercise if you don’t loathe what you’re doing. Get an exercise buddy. You’re far less likely to skip a workout if someone is counting on you to show up, plus you can have fun talking and the time will fly. Make your goals reasonable. For example, don’t start by saying you’re going to run five miles when the farthest you’ve ever run is from the couch to the refrigerator and back during a commercial. Set more reasonable, achievable goals. Celebrate your little victories along the way. It’s easier to stay motivated when you can look back and see how far you’ve come. Remember you’ll rarely ever regret working out, but you’ll almost always regret not working out. As much as I hate to say it, this year is shaping up to be one of the worst ever in terms of allergies. 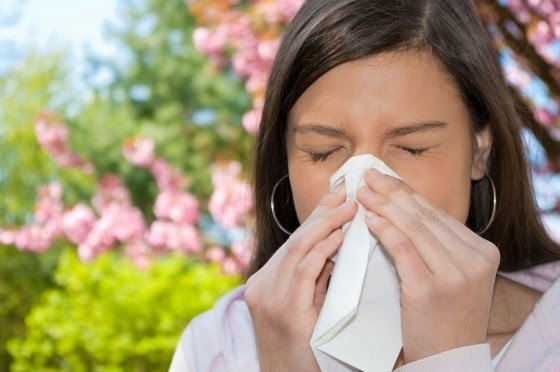 Dr. John Basso, chief of allergy and immunology at Nyack Hospital in New York explained that the prolonged moisture in some regions this winter may have set the stage for a bad season—a warm, dry spring following a wet winter is a recipe for high pollen counts. Global warming is considered to be partly responsible too, since the increased carbon dioxide and climate change stimulate pollen growth, making it more prevalent and potent. Whatever the reason is behind it, you know what lots of pollen means—LOTS of allergy misery for the 60 million or so allergy sufferers in the US! But the good news is there are ways that you can safely and naturally get relief from your allergy symptoms! Probiotics can be very helpful in combatting both seasonal and year-round allergies for two reasons—they can manufacture enzymes to help your body break down allergens, plus they can help improve your immune function and therefore help tame the “over-reaction” that occurs with allergies. Super Shield's 13 strains of top-quality, robust bacteria are ready to line your intestinal wall, crowd out harmful bacteria, encourage your immune system to behave, and help your body effectively break down substances you ingest—both food and allergens. Your diet is the #1 single biggest determining factor of your state of health from head to toe, and allergies are no exception. First of all, an unhealthy diet of processed foods, refined carbs and soda feeds the harmful, dangerous bacteria in your gut, and eventually they can overcome and "crowd out" your friendly gut flora (which as I mentioned above helps encourage proper immune functioning). Plus an unhealthy diet encourages acid waste buildup, and that can worsen congestion and mucus--which the typical allergy sufferer already has an abundance of! 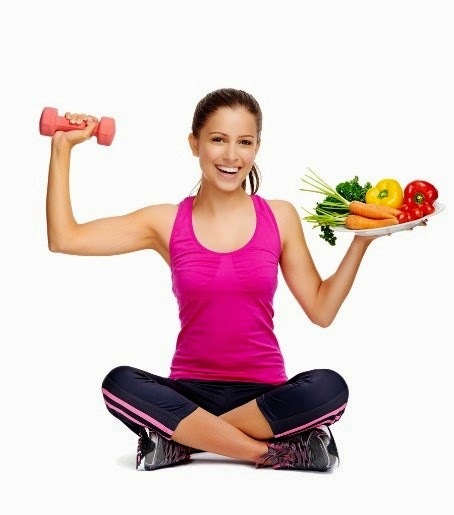 The Great Taste No Pain system will show you how to enjoy tasty, mouth-watering meals made of nutritious real foods that your body can break down much easier. You'll be pleasantly shocked at how delicious and enjoyable having a healthy diet can be, and can quite possibly see fewer digestive problems in addition to relief from your allergies! All it takes are a few simple tweaks to the meals you put together and incorporating more of the good stuff in your daily regimen. Allergy Factor contains an effective blend of vitamins, minerals, herbs and phytonutrients that help naturally promote healthy immune responses, ease sinus congestion and support healthy nasal passages! Now is the perfect time to try Great Taste No Pain, Super Shield, and/or Allergy Factor because they are all 15% off as part of our Memorial Day sale! If you’ve got seasonal allergies that are kicking into gear, it may behoove you to skip the synthetic fabrics and stick to cotton clothing. Synthetic fabrics (like polyester and nylon) can create an electrical charge which can actually attract pollen! And for people with pollen allergies, that means you can practically feel like you’re lying down in a field of wildflowers every time you get dressed! So clearly it’s essential to your health from head to toe to do all you can de-stress. Do whatever works for you—even taking a brisk walk can help! Soft contacts are especially guilty here, as they are more permeable and allow substances like pollen to seep through. And consider wearing sunglasses when you go outside to help shield your eyes from pollen too. But when you look at all of the possible factors behind your allergies and take natural measures to help your body tackle the underlying issues, chances are excellent you might see YOUR allergy symptoms greatly subside or possibly diminish altogether. Do you use the toilet correctly? Here in the US we are by far the leaders of the free world when it comes to gut issues. About one out of every four of us is blocked up, gassy and bloated on a fairly regular basis. And although there are many reasons for that, a new potential cause of “toilet turmoil” has been proposed by German microbiologist Giulia Enders. We’re using the toilet incorrectly! Here is what Enders has to say about our typical potty habits, as well as other causes of bathroom blues and how to promote better BMs. The problem with our bathroom practices is all in the position—according to Enders, we should be squatting to have a BM and not sitting like we typically do. Now I know you may be wondering how on earth you could balance yourself on your toilet seat in order to achieve the proper squatting position. That could make for some interesting cases in emergency rooms across the country. Never fear—according to Enders, all you need to do is place a small stool (no pun intended) in front of the toilet, sit down like you always do, and put your feet on the stool. I personally have not tested Enders’ theory, but if you have trouble with constipation or other forms of irregular bowel movements, why not grab a little stool (or stack of books) and try it out! Physiologically, the idea does have merit. For people who regularly experience trouble with bowel movements, common suggestions are getting more fiber, drinking more water and exercising. While these can be VERY helpful, for many people they may not be enough. That’s because by just getting fiber, drinking water and exercising, two of the biggest underlying factors behind anything-but-normal BMs are still not being addressed—namely poor digestion and unhealthy intestinal flora. When the digestive process isn't carried out like it should be, the “end result” won’t be what it should be either…plus without efficient digestion you may be prone to poor nutrient absorption and the resulting health challenges of nutrient deficiencies to boot. And since your friendly intestinal flora helps to break down starches and fibers, it plays a big role in how successful your BMs are too! The Great Taste No Pain and Great Taste No Gluten health systems will guide you on how to pair foods together in your meals to help encourage better, more efficient digestion. You’ll be pleasantly surprised how a few easy tweaks to your meals can make such a huge difference. And the recipe sections in both systems are loaded with delicious dishes, many of which feature high-fiber, good-for-you foods which will also help ease your toilet troubles. And as far as helping to beef up your supply of friendly intestinal bacteria, Super Shield multi-strain probiotic is a superstar! Super Shield contains 13 potent, feisty strains of beneficial bacteria, including Bifidobacteria lactis which has been shown in studies to help ease constipation. Not only will a healthy flora balance help keep your BMs running more smoothly, but it can also help support your immune system and ease gas and bloating too! Now is the perfect time to try Great Taste No Pain, Great Taste No Gluten and/or Super Shield, because they are all 15% off as part of our Memorial Day sale! When you naturally help your body accomplish the digestive process and promote a healthy gut environment, that can help ensure a much easier time when Nature calls for you! See for yourself what a difference it can make. Are you doomed by your family history? One thing that I frequently hear when talking with people about their health is they feel doomed by their family history. But "family history" isn't always what it seems. Yes, there are some disorders that affect multiple family members that are caused by gene mutations, which can be inherited. But other conditions that appear to run in families are not necessarily caused by genetics. Instead, other factors such as dietary habits and lifestyle are largely responsible for these disorders. And while it's true that the genes you inherit can play a role in your state of health, it's not an iron-clad guarantee that the same fate will befall you. Your genes are your blueprint of life. Everything about you--your hair color, eye color, body type, voice, shape of your nose, etc.--is determined by your genes. Contrary to what you may believe, not all of your genes are firing on all cylinders all the time...or even at all. Instead there are some parts of your genes that are very active and some that lie dormant and will only affect you if they are "awakened." This may come as a surprise to you, but the food you eat directly affects your genes! The nutrients in your foods "talk to" your genes, delivering information that can alter which aspects of your genes will be activated. Research has shown that any genes you've inherited that make you more susceptible to disease do not single-handedly cause disease. Instead their harmful messages remain "asleep" unless food, lifestyle or environmental factors trigger them into action. As a matter of fact, your genes are SO responsive to your diet that not eating foods that provide for your unique nutritional needs is now recognized as a major factor in the development of chronic diseases. Fruits, vegetables, whole grains, nuts, seeds, beans and legumes all contain health-promoting compounds called "phytonutrients." Phytonutrients interact with your genes to "wake up" the ones that help encourage production of antioxidants and detoxifying enzymes, while "putting to sleep" the ones that promote inflammation and disease. Each phytonutrient has its own "specialty" in terms of how it helps promote healthy body functioning. So it's important to make sure you're getting a wide variety of real foods so you can maximize your genetic disease-fighting ability. But that's just half of the equation. Because unless your body is actually absorbing the nutrients you take in, you'll end up benefitting from little or none of their disease-fighting power. And the key to properly absorbing nutrients of any kind is complete and efficient digestion. Now you may ask, "How can I tell if my digestion is efficient?" If you suffer from any of these on a regular basis, chances are excellent you have poor digestion. In order to smooth out your digestion and maximize your disease-fighting nutrient absorption, it's important to have a healthy diet that can be more easily broken down by your system. It's also crucial to keep your population of intestinal beneficial bacteria strong, since they too help aid digestion and nutrient absorption (and keep your immune system strong too). In the Great Taste No Pain system, you will learn what foods to eat together (and what other combos to avoid!) to help encourage better, more complete digestion. And while it's not necessary to make the dishes in the recipe section, if you do want to cook, my recipes are downright scrumptious and feature lots of real foods with disease-fighting phytonutrients. Note: If you're gluten sensitive or have celiac, Great Taste No Gluten is for you instead. The friendly bacteria in your gut help break down certain starches and fibers and keep digestion running smoothly. Plus they help promote gut wall health, which helps with nutrient absorption too. Super Shield probiotic formula is a top quality probiotic that contains 13 quality strains of potent beneficial bacteria that help keep your digestion tip-top, as well as help strengthen your gut wall and support immune functioning. In addition to having a nutritious diet and sound digestion, it’s also crucial to make sure your lifestyle habits don’t trigger disease-causing genes! Number one is getting regular exercise. If you don’t engage in some form of regular exercise, you are cutting your own throat in terms of health and paving the way for disease. Get your doctor’s OK and get going. If you smoke, please quit. There are many stop-smoking programs and aids out there to help you. Keep alcohol consumption under control. Alcohol is fine in moderation but if you’re drinking heavily on a regular basis, it’s time to cut back. Lastly, getting adequate sleep each night is essential. Lacking sleep can sap your immune system functioning at the speed of light. Regardless of your genetics, you can put the power of nutrition, sound digestion, a strong flora balance and healthy lifestyle habits to work for you. And start a NEW history for yourself. Today. We are beginning to see a very disturbing phenomenon with respect to our health. 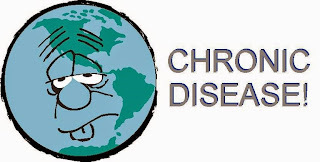 The emergence of multiple chronic conditions. No longer is someone unfortunate enough to have a condition like arthritis OR heart disease OR diabetes. People are instead walking around with ALL three, and then some! Let’s take a closer look at why diseases are spiraling out of control, and how you can help prevent your number from coming up in the multiple disease lottery. The possibilities of multiple diseases can run the gamut and they’re crossing bodily systems. We’re seeing a digestive condition like acid reflux with a cardiovascular condition like atherosclerosis plus an endocrine condition like hypothyroidism. And two out of three of us are overweight or obese too! Plus what’s really throwing a spin on this is autoimmune diseases. There have been about 80 of them identified so far, with more on the horizon. The challenge with an autoimmune disease is the fact that your body’s disease prevention and protection system (your immune system) goes haywire and instead begins attacking your healthy cells. So you are not only without the protection of your immune system, but it’s also out and out harming you. Chronic inflammation and circulating immune complexes! The first thing to understand is that inflammation is not always bad. Inflammation is part of your body’s healing system. When you get injured or sick, inflammation is created to direct your body’s “healing crew” (immune cells, cholesterol, blood clotting agents and nutrients) to the troubled area. The problem arises when inflammation becomes chronic—then it’s firing away on all cylinders and crosses the line of becoming more harmful than helpful. When your body is in a state of chronic inflammation, it cannot heal itself as well. It can’t effectively use vitamins and minerals, so you begin to suffer the consequences of poor nutrition. Your immune system is weakened so you become a magnet for colds, infections and viruses. And you become an ideal environment for tumor cells to thrive. Circulating immune complexes (CICs) are poorly digested food molecules that “bully” their way into your bloodstream through the intestinal wall. Since these molecules are not broken down properly to be used as nourishment, they instead cruise through the bloodstream and taunt your immune system. Your immune system sees these “bullies” as enemies, and eventually it can start overreacting against them. This is how food sensitivities are created. Plus CICs are also a primary trigger behind fibromyalgia. It’s also what’s going on with autoimmune conditions. The immune system is taunted to the point where it cannot decipher between what’s part of you versus what’s a dangerous invader. Inflammation & autoimmunity—partners in crime! Unfortunately people are starting to suffer the consequences from both chronic inflammation AND autoimmunity. 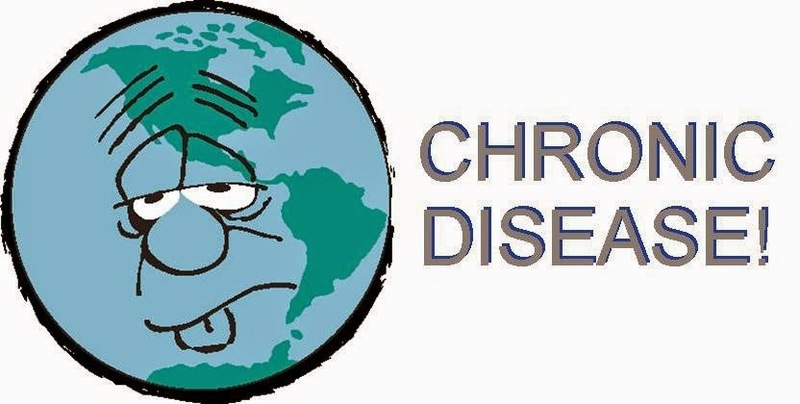 For example, people with Crohn’s disease (an autoimmune condition) are far more likely to have arthritis (an inflammatory condition)—about 30 percent of the people with Crohn’s develop arthritis. People with lupus (also an autoimmune condition) frequently develop heart inflammation (pericarditis). Fight back against the disease instigators—and win! The great news in this grim prospect of multiple chronic conditions is that you can do a whole lot to help counteract the disease instigators. Here are the crucial steps you can take to fight chronic disease—and win! This is step one. If you don’t have a diet of nutritious foods, forget it. Your body will suffer as a result of both the nutrients it’s NOT getting, plus also from having to deal with the toxins, chemicals and other garbage from the non-nutritious foods it IS getting. Plus if you don’t have efficient digestion, you can be setting the stage for CICs to bully their way through your gut wall. The Great Taste No Pain and Great Taste No Gluten systems can guide you on how to have a healthy, disease-fighting diet. Both systems show you how to create nutritious meals featuring real foods that are not only scrumptious, but are also a snap to prepare and much easier for your system to digest. When your system can more effectively break down your foods, not only can you have less trouble with heartburn, acid reflux, gas and bloating, but you help ensure that your foods are small enough when they're absorbed so they don't taunt your immune system. Probiotics have been shown to help counteract a leaky gut wall, plus they help digest certain foods. And for a high quality, potent probiotic supplement, look no farther than Super Shield multi-strain probiotic formula. One of Super Shield's strains, Lactobacillus Rhamnosus, helps to strengthen gut-barrier function and has been shown to have a beneficial impact on autoimmune conditions as well as constipation, diarrhea and IBS symptoms. Plus Super Shield's 12 other strains will help keep your gut flora in proper balance, encouraging the formation of more anti-inflammatory immune cells. Note: Be sure to talk to your doctor about probiotics if you are on immunosuppressive medication for an autoimmune condition. Chronic inflammation is a serious factor behind many conditions and diseases. What can make inflammation even worse is when you have an imbalance of Omega-6 and Omega-3 essential fatty acids, with too many Omega-6 EFAs and too few Omega-3s. In addition to eating natural sources of Omega-3 like fatty fish, walnuts and flax seeds, you can help replenish your Omega-3 supply with a pharmaceutical-grade Omega-3 supplement like VitalMega-3. VitalMega-3 is a potent fish oil formula that delivers 1,000 mg. of the necessary EPA and DHA essential fatty acids in every daily 2-capsule serving. If you want your future to be full of vibrant health, then you need to do as much as you can to help create that state of health. And a big step in the right direction is to right back against the two main disease instigators—inflammation and circulating immune complexes. Do what you need to do now. The importance of sleep is undeniable – a bad night’s rest can have you reaching for the caffeine all morning or leave you feeling on edge as you go about your day. Long midday naps, an especially stressful work day and various things in your daily routine can make a significant impact on your body’s ability to get a good night’s sleep. Fortunately, there are many habits that you can adopt to help you break the bad-sleep cycle and leave you feeling well rested, energized and ready to take on the day-to-day. Stick to a sleep schedule – Your body follows a natural sleep-wake cycle that is easily disrupted by things such as staying up late or sleeping in to make up for a few lost hours. If you are getting enough rest, you should be able to wake up without having to use an alarm clock. Start regulating your sleep schedule by going to bed at the same time every night and waking at a designated time every morning, even on weekends and days off when it may be tempting to stay up late. Consistency will help your body associate a certain time with sleep and help you fall asleep much faster, so you’ll get a much more satisfying night’s rest as a result. Get into a nightly ritual – Practicing a nightly ritual will help your body associate the evening with your bedtime and ease the transition between being awake and asleep. Choose relaxing activities that aren’t overly stimulating, such as reading a book or dimming the lights as you get ready for bed to help you achieve better rest throughout the night. Pay attention to your diet – A diet high in sugar and refined carbs can trigger elevated cortisol levels, and since cortisol is one of your body’s “fight or flight reaction” hormones, that can hamper your ability to fall asleep, stay asleep and/or wake up refreshed. If you’re feeling hungry at night, try snacking on a natural source of sleep-inducing tryptophan like a small piece of chicken, turkey or cheese to quell your hunger pains. Also, things such as caffeine, alcohol and cigarettes can all stimulate your brain and keep you awake. Caffeine can affect your body up to 10 hours after consuming it and nicotine can cause withdrawals in the middle of the night, so consider cutting back on your consumption, especially when it’s later on in the evening. Make your room comfortable – Make sure that your sleeping environment is perfect to unwind in and free of any distractions that could interfere with sleep. Pile on the blankets and get cozy with pillows and a mattress that you find most comfortable. Even the soft glow of a cell phone backlight can keep your mind active and can prevent your body from fully transitioning into sleep mode. Cover any other electronics that emit light and use dark curtains to block out any outside light. 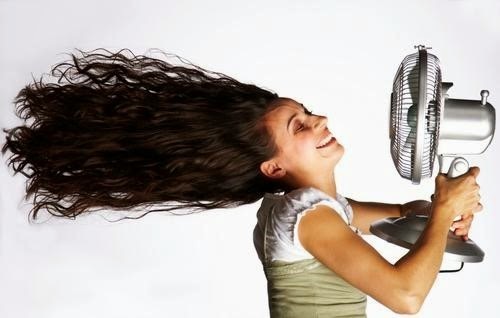 You might end up tossing and turning if you become too hot throughout the night, so use an overhead fan, crack open a window or turn the air conditioning down a couple of degrees to maintain a comfortable yet cool sleep environment. Know when to nap – Naps are a great way to re-energize when you’ve lost steam halfway through the day, but can sometimes also interfere with your ability to sleep later on. An ideal nap is a good 10 to 20 minutes and should be 30 minutes at the most to help you power through the rest of your day. Napping at a consistent time each day will lessen the chance of it interfering with your body’s natural sleep-wake cycle. If you have insomnia or any trouble sleeping, considering cutting naps out of your schedule in order to get to bed at a more reasonable time. By breaking some old habits and adopting some new, you’ll find yourself on the fast track to better sleep in no time! Do you have any tricks you use to get a good night’s sleep? Let us know in the comments below! Menopausal? Ease hot flashes now! Although menopause can be the subject of jokes and even a hit musical comedy, for women who are going through it, it’s far from funny. The definition of menopause is the stage of life when a woman’s ovaries stop functioning—they stop releasing hormones and stop producing eggs. Although that sounds straight-forward, nothing could be farther from the truth. The average age for the onset of menopause is 51, although it can occur as early as your late 30’s. 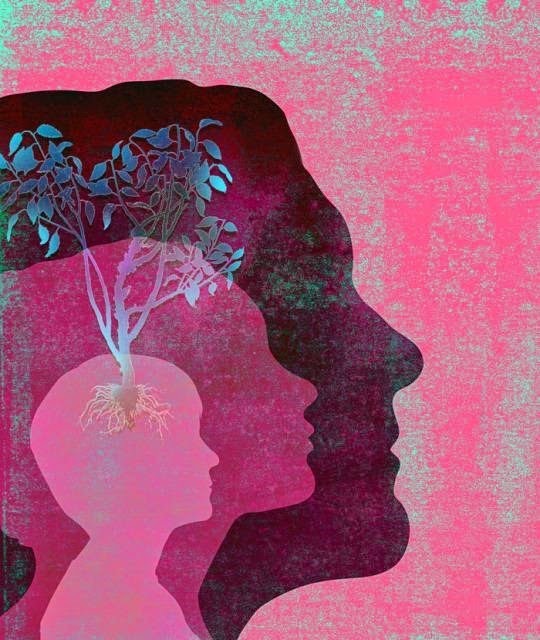 The best way to predict when you might face it is to ask your Mom when she went through it—menopause is strongly genetically linked, so you’re likely to follow in her footsteps. It takes six to 12 months without a period to be diagnosed with menopause, but other symptoms can occur before that. The period of time during which symptoms are seen but before the period ends is called perimenopause. Note that women who have had their ovaries surgically removed are suddenly thrust into the world of menopause, many times far earlier than Nature intended. It can also be triggered by chemotherapy. When menopause hits, estrogen and progesterone production by the ovaries comes to a screeching halt. Now, your pituitary gland senses something’s wrong and steps up its production of two other hormones (follicle stimulating hormone or FSH and luteinizing hormone or LH) to try to jump start the pooped-out ovaries. That’s why a blood test showing high levels of FSH is one of the ways menopause is diagnosed. The typical treatment options for menopause include synthetic hormone replacement therapy (HRT) and symptomatic treatment (antidepressants or sleeping pills). But long-term use of synthetic HRT is associated with an increase risk or breast or uterine cancers. It can also raise your risk of gallstones and blood clots, and cause nausea, breast tenderness, liver disorders and fluid retention. And antidepressants and sleeping pills come with a list of serious potential side effects, plus you run the risk of dependence with sleep drugs. The good news is there are safer, very effective answers to help ease the symptoms of menopause! Soy foods have been shown to help relieve hot flashes. But look for minimally processed options such as tofu or edamame, and avoid those made from soy protein concentrates (like imitation “vegetarian meat”). Vitamin E can help by relieving vaginal dryness and itching. Vitamin E is available as an oil, cream, ointment or suppository. Food sources include: Swiss chard, almonds, spinach, collard greens, bell peppers, Brussels sprouts, blueberries, tomatoes and broccoli. It’s hard to beat exercise when it comes to relieving menopausal symptoms. Exercise will help counteract menopause-related weight gain and encourage better sleep. Plus it stimulates the release of endorphins which can help curb depression and mood swings associated with menopause. Get your doctor’s OK, get moving, and you’ll likely feel a lot better very soon. Vitamin B12 is crucial for proper nerve and brain function—and this is especially important with the mental functioning challenges and brain fog that accompany menopause. B12 is also essential for the production of acetylcholine, which is a neurotransmitter that allows the nerves and brain to communicate. Healthy levels of acetylcholine can help you maintain clear-thinking abilities for a LIFETIME. Unfortunately, as we age, in addition to facing menopause, our stomach acid production decreases and that affects vitamin B12 absorption….so deficiencies are common. But you can help ensure your body has what it needs by supplementing with a top-quality B12 product like Hydroxaden 2.5. Hydroxaden 2.5 is a convenient vitamin B12 spray that gives you a daily dose of hydroxocobalamin, which is one of the top forms of B12. Since it can be absorbed by the mucus membranes in your mouth, this helps bypass any shortcomings in stomach acid that may affect absorbability. And now is the perfect time to try Hydroxaden 2.5 because it’s 15% off! Unlike synthetic HRT, bio-identical hormone replacement therapy works to help naturally reestablish the way your body sends messages to your tissues and organs to keep them healthy. The body has an easier time assimilating bio-identical hormones because they are identical in molecular structure to the hormones naturally made in your body. You’ll have to seek out a practitioner that does BHRT—and because it’s more of a holistic therapy, many mainstream doctors are not familiar with it. Now, if you happen to be in the New York/New Jersey/Connecticut area, check out the Salerno Center in Manhattan. Dr. John Salerno is a leading expert on BHRT and is featured in all of Suzanne Somers’ anti-aging books. If you are menopausal or even perimenopausal, see what a difference it can make in your symptoms to help your body through this “life stage” naturally, and feel a whole lot better as a result!